The VX7e one of ikan's newest solutions to the ever changing world of on camera monitoring! 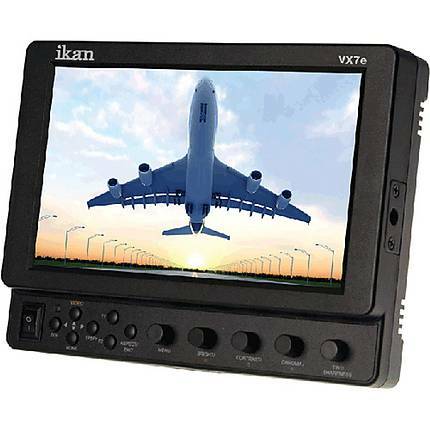 The ikan VX7e is a 7" monitor that was designed for the video professional who needs multiple inputs as well as multiple power options. With peaking and false color the most popular features to the VX series monitors, the VX7e also has inputs for your array of cameras that you use in the field or studio. Features you need at Prices you want, HDMI to HD-SDI the ikan VX7e has you covered! The VX7e is equipped with both Monochrome and Color Peaking features which highlight the desired focus area in a bright, SILVER outline. The operator adjusts the focus control until the SILVER indicator outlines on the desired area are razor sharp, indicating optimal focus. For the best results, be sure the subject is properly exposed. The False Color feature utilizes a full spectrum of assigned color indicators, ensuring flawless shot exposure. As the camera Iris is adjusted, the subject of the image will change color based on specific brightness values indicating optimal exposure. As an additional tool associated with the VX7es False Color feature, ikans exclusive Adjustable Under Exposure and Over Exposed Waning feature gives the operator full control of the VX7e False Color brightness values. By setting the preferred IRE exposure limits, the operator is warned when the image exposure is exceeding or falling under the preset IRE limit, providing customizable, full image exposure control. The VX7e offers adjustable upper Clip Guide levels to accurately display overexposed images in any shooting condition. The operator simply assigns the upper IRE to their preference and any exposure over the set IRE limit will flash in a vivid purple, indicating only the over exposed area. The days of purchasing a separate battery plate for your monitor are over. In addition to the included AC adapter, the VX7e comes complete with our popular BP2 battery adapter plate! Whether you are shooting with a Canon, Panasonic or Sony DV camera, ikan has you covered. 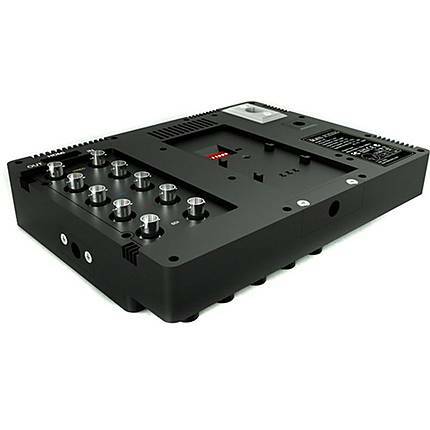 Simply specify which battery plate you would like (Your choice of either the Sony L, Sony BP-U, Canon 900, Canon LP-E6+ or Panasonic D54 series batteries) and you will receive a complete, self-powered HDSLR field monitor with the quality and reliability you have come to expect from ikan. If you need Anton Bauer or Sony V mount power options, ikan has you covered with the PBK-17 professional battery mount system. 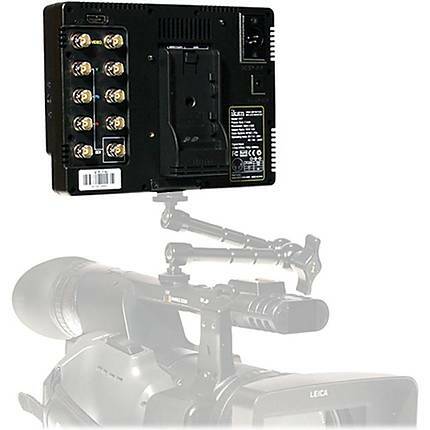 This simple device mounts directly to back of the VX7e or VX7. Once its mounted, youre in business. The VX7e sports HD-SDI (which also transcodes to analog component out), HDMI, HD/SD component, composite, giving you ability to use the VX7e with any video device in the industry. All of our inputs use professional grade BNC connectors to insure you stay connected while offering full loop through capabilities.